Since its creation in April of 1943, Marine Transport Squadron 352 has been providing aerial support wherever the United States Marine Corps has been deployed. This elite unit supported the Berlin Airlift in 1948. 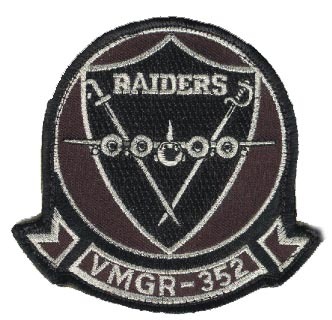 The Raiders, as the squadron has come to be known, provided support for the Marines throughout the Korean conflict. With their rapid response capabilities and versatile aircraft, they were called on again during the Cuban Missile Crisis in 1962. The squadron played a vital role throughout the Vietnam era and has taken part in numerous peacekeeping missions, from the civil war in Rwanda, to the disastrous 1999 earthquake in Turkey, as well as the tsunami that devastated Thailand in 2004. In recent years, the squadron has demonstrated their skill and commitment again and again by supporting critical Marine and Navy missions in Iraq and Afghanistan. 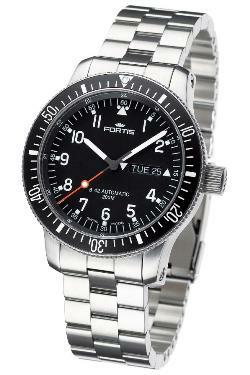 It is only fitting that a fighting force with the illustrious history of Marine Transport Squadron 352 would choose an equally illustrious timepiece for their official squadron watch: the Fortis B-42 Cosmonaut GMT. 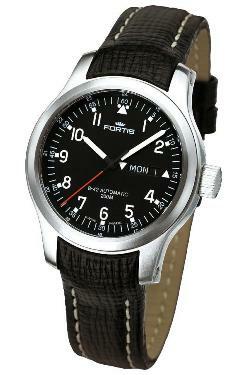 To commemorate the squadron’s many achievements, Fortis made a special limited edition of 25 military watches exclusively for squadron members. This unique and very exclusive version of the B-42 Cosmonaut GMT features the 352 squadron patch on the custom dial at 9 o’clock, along with the Raiders scull and crossbones insignia at 12 o’clock. 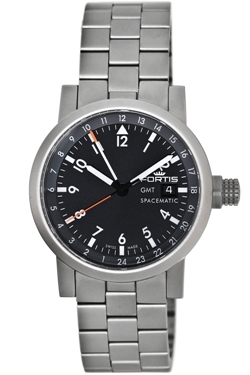 With only 25 total units worldwide, this special limited edition is almost as rare as the Fortis Cosmonaut watches that have actually flown in space. 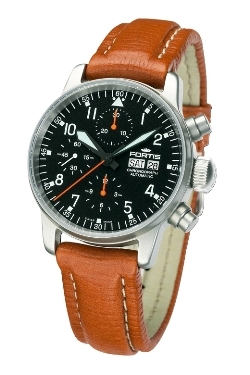 The B-42 Cosmonaut GMT is a perfect choice for aviators like the Raiders of Squadron 352. 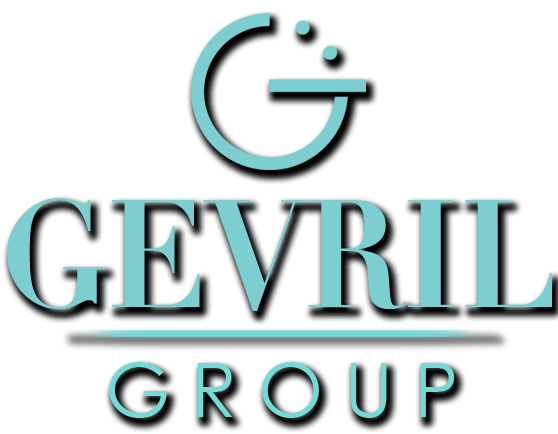 The clarity of the double anti-reflective sapphire crystal is amazing, making the clean, uncluttered dial easy to read in any light. The 60 click rotating 24-hour chapter ring is divided into black for night and gray for day, making it almost effortless to track multiple time zones. It’s no surprise that the Russian Space Agency and the Squadron 352 Raiders both rely on the B-42 Cosmonaut GMT. 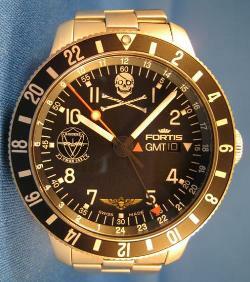 Fortis Squadron Watches aren’t just another military style timepiece. They’re part of your uniform!